Chicagoans usually have many nightly options when it comes to quality jazz, but this is an especially fertile weekend. In this week's Soundboard I wrote previews for shows by violinist Regina Carter, guitarist Kurt Rosenwinkel, and pianist Brad Mehldau, but there are three more strong bands—both local and touring—playing around town over the next couple of nights. 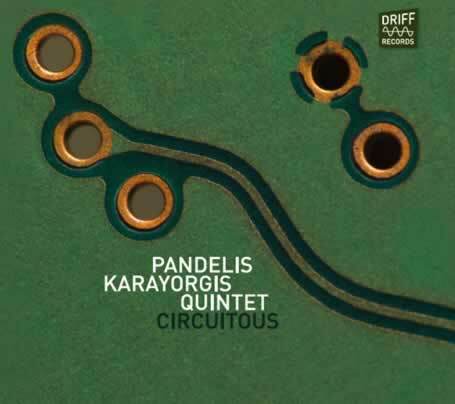 Tonight at Constellation the fantastic Boston pianist and composerPandelis Karayorgis will perform with the Chicago-centric quintet responsible for last year's Circuitous (Driff), one of my favorite albums of 2013. It will mark the first time the group has played in town since the album was released. As I've written before, Karayorgis composed the music with the classic Tony Williams album Spring in mind, but the dazzling results proved that the leader has a conception all his own. The dynamic frontline pairs reedists Keefe Jackson and Dave Rempis, both delivering some of the strongest playing of their careers. They're supported by the agile rhythm section of bassist Nate McBride—making only his second area appearance after he moved back to Boston a year ago—drummer Frank Rosaly, and the pianist himself, a probing musical mind who routinely finds contemporary ideas within the vintage sounds of Herbie Nichols, Hasaan Ibn Ali, and Elmo Hope. Below you can check out the smoldering, concentrated intensity of "Here in July." Pandelis Karayorgis writes chewy, nourishing melodies, at mostly medium tempos, with an angular bite but an innate tunefulness. That’s only one reason that Karayorgis strikes me as our era’s answer to Thelonious Monk. Like Monk, he plays the piano with a firm attack and a lively, highly personal technique which, in the 50s (when Monk reigned), would have been called “unorthodox.” (Such devices as discordant tone clusters and unexpected keyboard eruptions have subsequently become part and parcel of the modern pianist’s playbook, but Karayorgis still manages to make them sound unique – Monkish, even, without copping actual notes or phrases.) And like Monk, Karayorgis shapes the talents of his chosen bandmates to the demands of his own music, reining but not restraining their individualism. 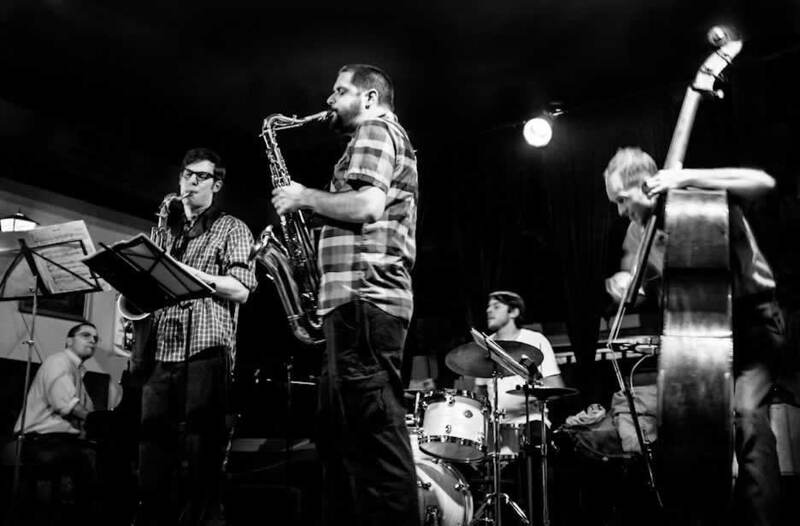 Monk did this with such artists as John Coltrane, Johnny Griffin, and Sonny Rollins; on last year’s Circuitous (Driff Records), Karayorgis similarly uses the reedists Dave Rempis and Keefe Jackson to illuminate his music while adding their own highlights, as part of the quintet he’ll lead at ConstellationFriday night. The Boston-based Karayorgis has a special relationship with Chicago. 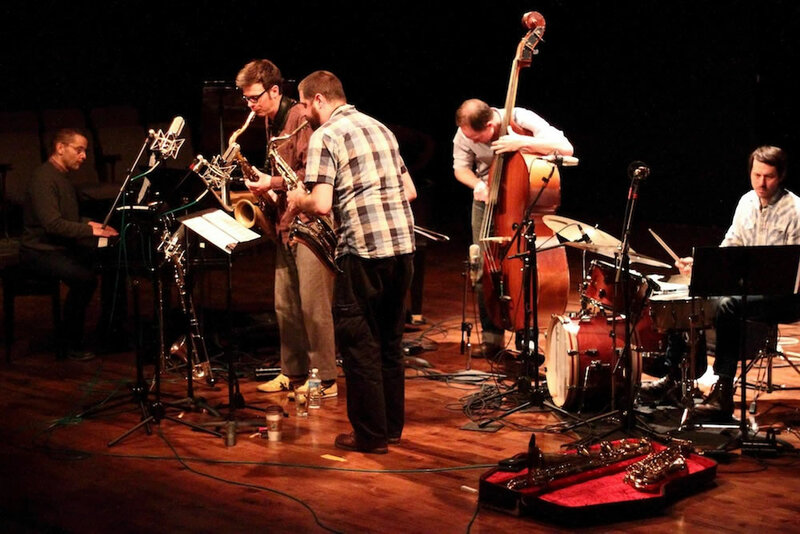 He appears here on a semi-regular basis, and he has worked minor miracles with like-minded local improvisers, most notably reedist Ken Vandermark, clarinetist Guillermo Gregorio, and Nate McBride, the bassist who has anchored Karayorgis’s trios and larger groups since the mid-90s. (McBride moved to Chicago from Boston several years after Karayorgis arrived and recently relocated there.) 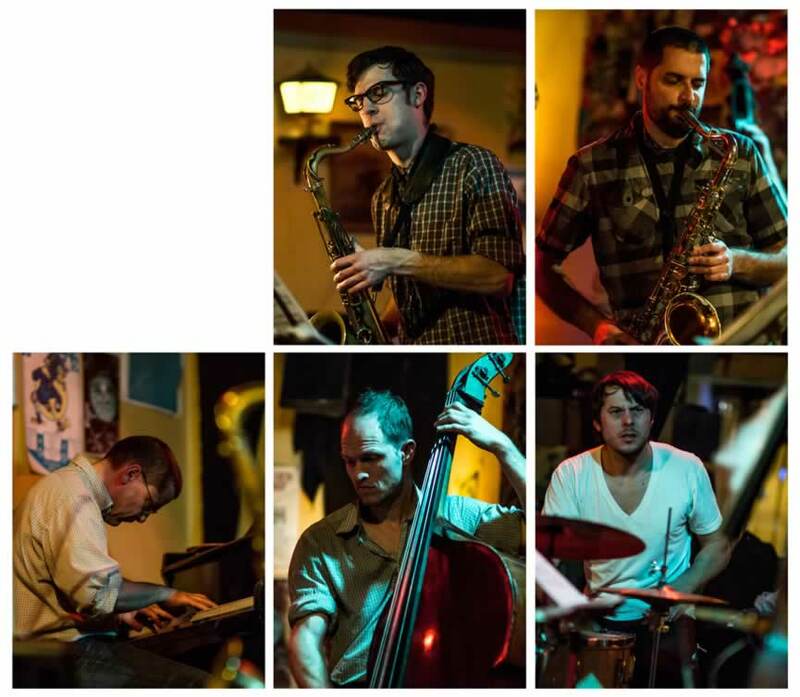 For Circuitous, the pianist assembled a band of the usual suspects from Chicago’s new-music scene, featuring, in addition to the reed players, McBride and drummer Frank Rosaly. Seasoned listeners have heard all these guys in plenty of varying combinations before, and perhaps even all in the same band; focused on Karayorgis’s compositions, however, their interactions take on a different character, thanks to the pianist’s structures and arrangements. The slow-moving “Nudge” would sound fine in a trio setting, where the pianist alone could mark the open harmonies created by parallel melodic lines. 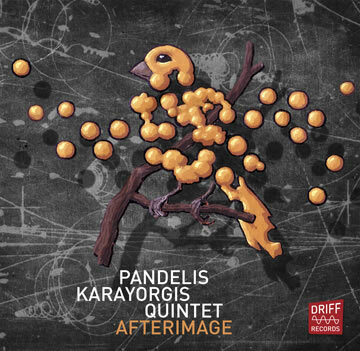 Karayorgis does that here, but he expands the song’s impact by also assigning those lines to the saxes; the arrangement knits the band tightly together before gentle and beguiling solos by Rempis, Jackson, and McBride, each with minimal accompaniment. The subsequent “Swarm” takes an almost opposite tack: after the busily buzzing theme (hence the title), each of the soloists gets plenty of assistance, in the form of assertive, even abrupt interpolations from the others, recapping the density of the opening statement. 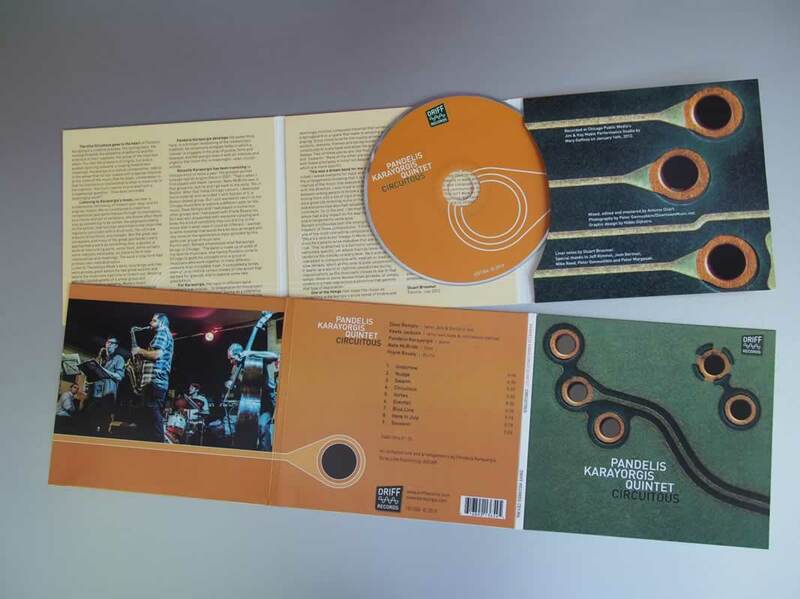 Throughout the album, Karayorgis offers variations on these approaches, stamping each tune as his own – thanks to the initial melody and his framing of the solos – and then enjoying the reflected glory from the improvisations of his world-class collaborators. The music remains resolutely “inside-out”: innovative, sometimes discordant, but eminently listenable even to avant-garde newbies. Other delights include the presence of two voices not so often heard – Rempis’s alto (he also plays tenor and baritone in the group) and Jackson’s use of the comically low contrabass clarinet (along with tenor and bass clarinet) – and the chance to hear the always composition-minded Rosaly supplying percussion to fit another composer’s vision. Despite all the familiar names, I’d still chalk this one up as a special event. "Ledger" performed at Constellation, Chicago, March 2014. "Souvenir" performed at Umbrella Fest, Chicago, November 2012.